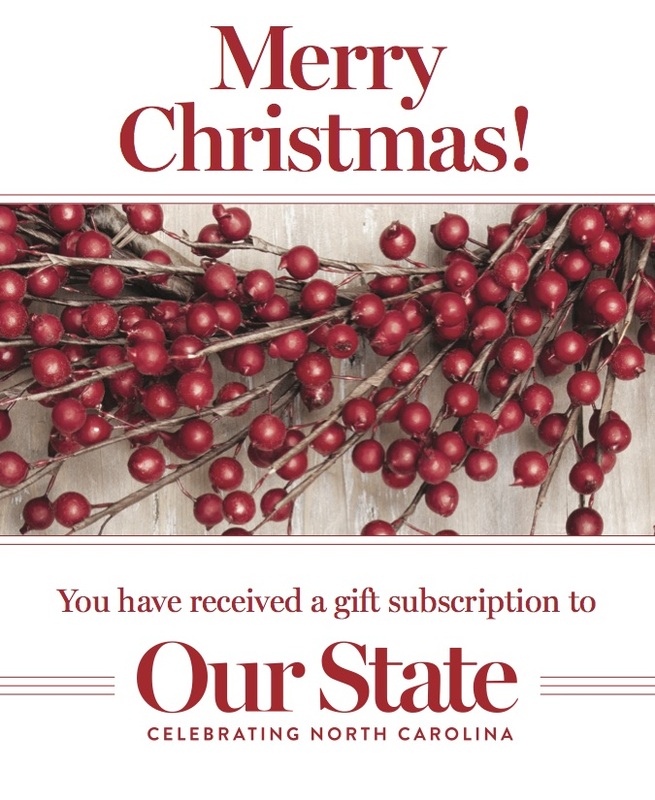 Thank you for giving the gift of Our State magazine. 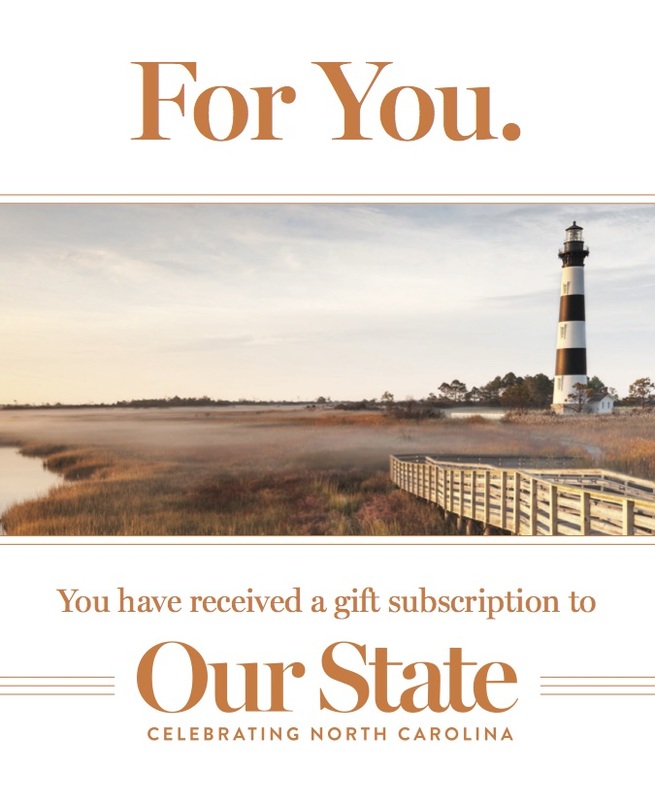 Your recipient will enjoy the very best of North Carolina travel, history, people, and places when Our State arrives each month. 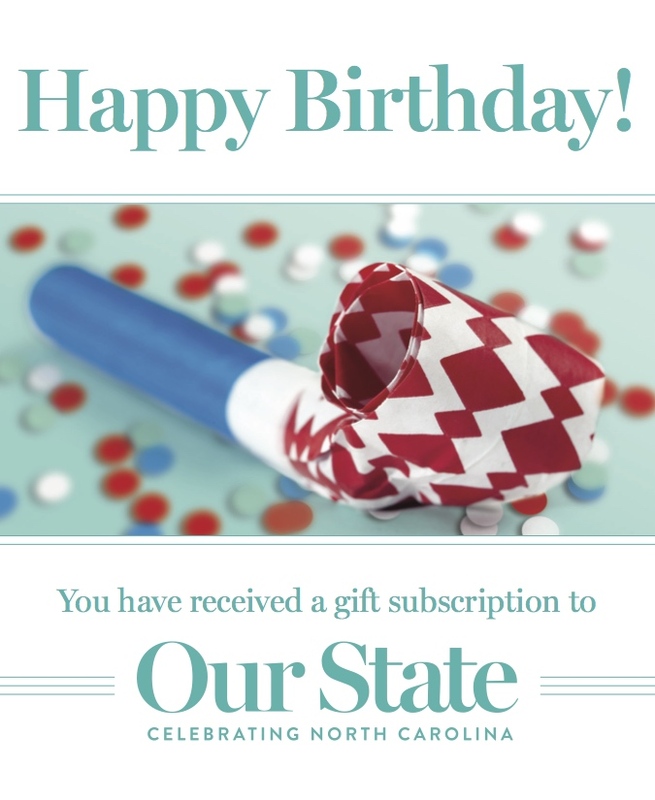 A gift card and envelope will be mailed to you in the next 7-10 days. 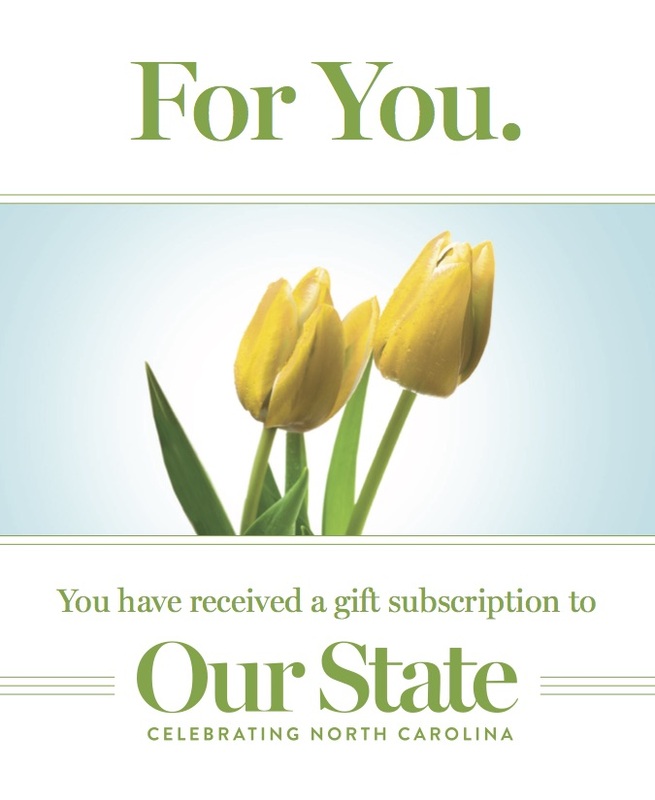 If you need a gift card right away, you may simply choose the most appropriate card from the selection below and follow the instructions to print or download and attach to an email. Card will open as a pdf. Card will print to a size of 4½” x 5½” centered on an 8½” x 11″ standard sheet of paper. Click the card of your choice below. Save the pdf to your computer desktop or other folder. Draft email and attach pdf. Click send to share your email and card.